A four-week project with a Girl Guiding youth group, I planned and facilitated a workshop for 15 young women as part of their 'Tech Badge'. They undertook user interviews with a partner to understand and identify a 'problem' which could be solved with an app. 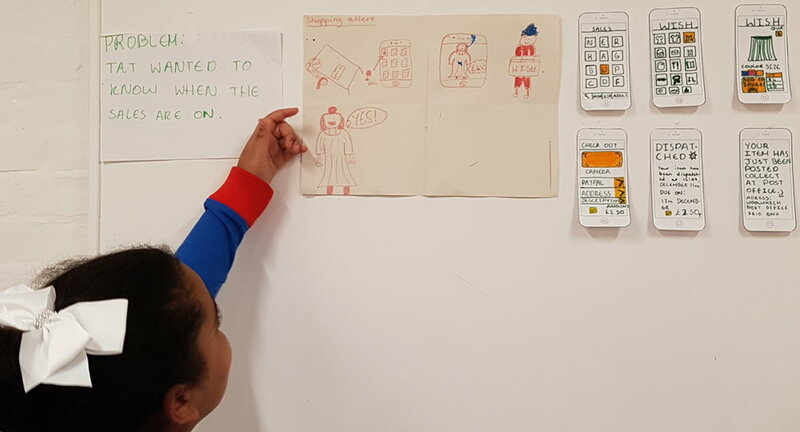 I explained and led them through storyboarding and wireframing; the outcome was a three-minute presentation of the steps they took in their process and the app as a prototype. 1 hour 30 minutes sessions for four weeks. Research, sketching, testing, prototyping and presenting. The Guides we put into pairs, the brief was to design an app for their partner which they would use to help them daily. The girls began by conducting a user interview with their partners to understand the needs of their user. 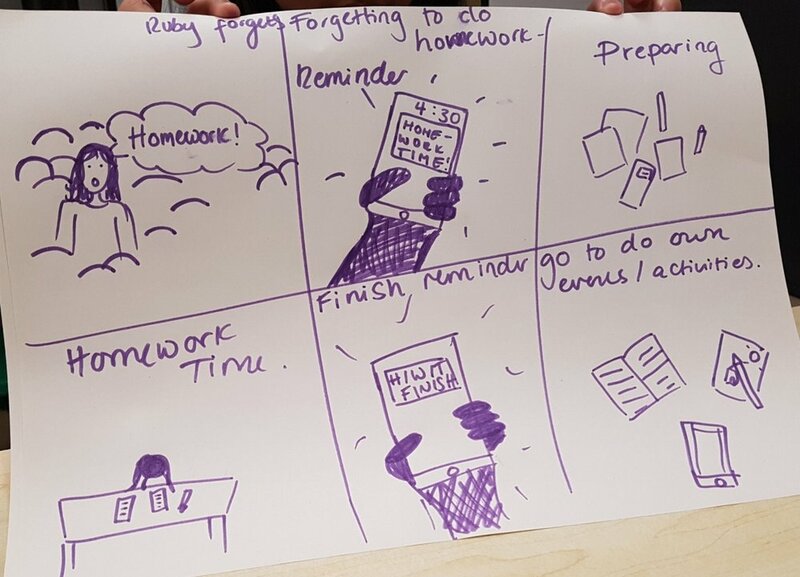 The girls created storyboards to help tell the story of the problem they are solving through their app. 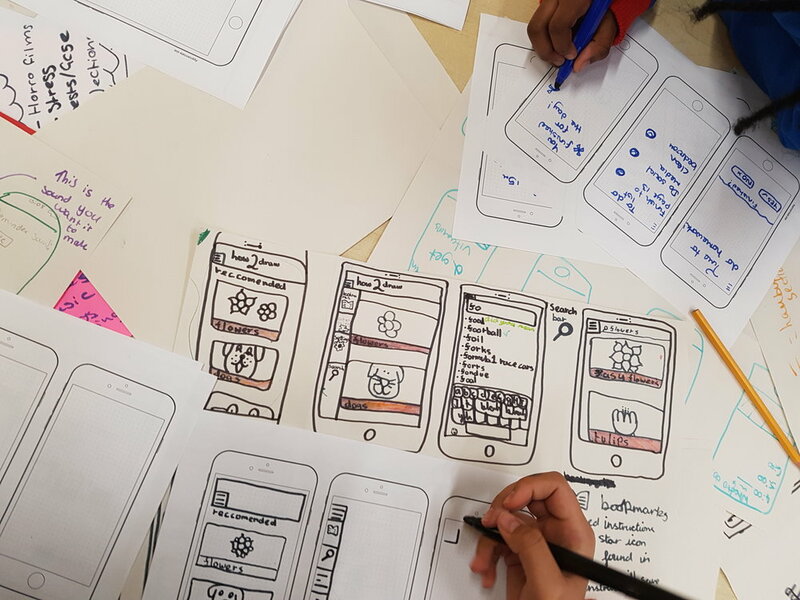 Together with the user research they conducted at the beginning of the project they were able to sketch initial design for their app. To devise a way that their app can solve the problem theirs users encountered on a daily basis. The girls sketched out the initial wireframes of their designs and tested them with their partners. On the final day after three weeks of hard work the Guides presented their work back to one another. This was a great opportunity for each member to see the ideas their friends had come up with. It was also an opportunity to practice how the present their work back to one another. Presentation set-up from one of the Guides which included the problem statement she was solving, her storyboard, wireframes and paper prototype. I throughly enjoyed facilitating this workshop. It was incredible to see the excitement and eagerness the Guides had to working with one another and creating a product for their friends. There was positive feedback from the Guides, their leader and the parents who had noticed how much their children enjoyed taking part in the workshop.